The Supeme Court has promulgated amendments to the General Rules of Practice for the District Courts effective January 1, 2008, regarding collaborative law processes. In its report filed March 29, 2007, the Supreme Court Advisory Committee on the General Rules of Practice recommended amendments to the General Rules of Practice for the District Courts. On September 18, 2007, the Supreme Court held a hearing on the proposed rule amendments. The Supreme Court has reviewed the proposals and the submitted comments, and is fully advised in the premises. 1. The attached amendments to the General Rules of Practice for the District Courts be, and the same hereby are, prescribed and promulgated to be effective on January 1, 2008. 2. The attached amendments shall apply to all actions pending on the effective date and to those filed thereafter. 3. The inclusion of Advisory Committee comments is made for convenience and does not reflect court approval of the comments made therein. RULE 111. SCHEDULING OF CASES. * * * Rule 111.05. Collaborative Law. (a) Collaborative Law Defined. Collaborative law is a process in which parties and their respective trained collaborative lawyers and other professionals contract in writing to resolve disputes without seeking court action other than approval of a stipulated settlement. The process may include the use of neutrals as defined in Rule 114.02(b), depending on the circumstances of the particular case. If the collaborative process ends without a stipulated agreement, the collaborative lawyers must withdraw from further representation. (b) Deferral from Scheduling. Where the parties to an action request deferral in a form substantially similar to Form 111.03 and the court has agreed to attempt to resolve the action using a collaborative law process, the court shall defer setting any deadlines for the period specified in the order approving deferral. (c) Additional ADR following Collaborative Law. When a case has been deferred pursuant to subdivision (b) of this rule and is reinstated on the calendar with new counsel or a collaborative law process has resulted in withdrawal of counsel prior to the filing of the case, the court should not ordinarily order the parties to engage in further ADR proceedings without the agreement of the parties. Advisory Committee Comment�2007 Amendment Rule 111.05 is a new rule to provide for the use of collaborative law processes in matters that would otherwise be in the court system. Collaborative law is a process that attempts to resolve disputes outside the court system. Where court approval or entry of a court document is necessary, such as for minor settlements or entry of a decree of marriage dissolution, the court�s role may be limited to that essential task. Collaborative law is defined in Rule 111.05(a). 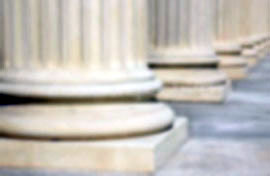 The primary distinguishing characteristic of this process is the retention of lawyers for the parties, with the lawyers� and the parties� written agreement that if the collaborative law process is not successful and litigation ensues, each lawyer will withdraw from representing the client in the litigation. normally or automatically ordered into another ADR process. The rule intentionally does not bar a second ADR process, as there may be cases where the court fairly views that such an effort may be worthwhile. These provisions for deferral and presumed exemption from a second ADR process are also made expressly applicable to family law matters by a new Rule 304.05. RULE 114. ALTERNATIVE DISPUTE RESOLUTION. * * * Rule 114.04. Selection of ADR Process * * * (b) Court Involvement. 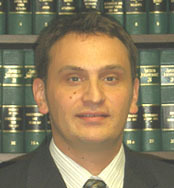 If the parties cannot agree on the appropriate ADR process, the timing of the process, or the selection of neutral, or if the court does not approve the parties� agreement, the court shall, in cases subject to Rule 111, schedule a telephone or in-court conference of the attorneys and any unrepresented parties within thirty days after the due date for filing informational statements pursuant to Rule 111.02 or 304.02 to discuss ADR and other scheduling and case management issues. * * * (2) Other Court Order for ADR. In all other civil case types subject to this rule, including conciliation court appeals, any party may move or the court at its discretion may order the parties to utilize one of the non-binding processes; provided that any no ADR process shall be approved if the court finds that ADR is not appropriate or if it amounts to a sanction on a non-moving party. Where the parties have proceeded in good faith to attempt to resolve the matter using collaborative law, the court should not ordinarily order the parties to use further ADR processes. Advisory Committee Comment�2007 Amendment Rule 114.04(b)(2) is amended to provide a presumptive exemption from court-ordered ADR under Rule 114 where the parties have previously obtained a deferral on the court calendar of an action to permit use of a collaborative law process as defined in Rule 111.05(a). RULE 114 APPENDIX. CODE OF ETHICS ENFORCEMENT PROCEDURE Rule I. SCOPE This procedure applies to complaints against any individual or organization (neutral) placed on the roster of qualified neutrals pursuant to Rule 114.12 or serving as a court appointed neutral pursuant to 114.05(b) of the Minnesota General Rules of Practice. Collaborative attorneys or other professionals as defined in Rule 111.05(a) are not subject to the Rule 114 Code of Ethics and Enforcement Procedure while acting in a collaborative process under that rule. Advisory Committee Comment�2007 Amendment The committee believes it is worth reminding participants in collaborative law processes that the process is essentially adversary in nature, and collaborative attorneys owe the duty of loyalty to their clients. The Code of Ethics procedures apply to create standards of care for ADR neutrals, as defined in the rules; because collaborative lawyers, while acting in that capacity, are not neutrals, these enforcement procedures to not apply. STATE OF MINNESOTA DISTRICT COURT ___________________ COUNTY ________________ JUDICIAL DISTRICT CASE NO. : Case Type: _____________ ____________________________ Plaintiff and REQUEST FOR DEFERRAL _____________________________ Defendant The undersigned parties request, pursuant to Minn. Gen. R. Prac. 111.05, that this action be deferred and excused from normal scheduling deadlines until _________ ___, ____, to permit the parties to engage in a formal collaborative law process. In support of this request, the parties represent to the Court as true: 1. All parties have contractually agreed to enter into a collaborative law process in an attempt to resolve their differences. 2. The undersigned attorneys are each trained as collaborative lawyers. and his or her law firm will withdraw from further representation and will consent to the substitution of new counsel for the party. 4. The undersigned attorneys will diligently and in good faith pursue resolution of this action through the collaborative law process, and will promptly report to the Court when a settlement is reached or as soon as they determine that further collaborative law efforts will not be fruitful. Signed: _____________________ Signed: ______________________ Collaborative Lawyer for (Plaintiff) Collaborative Lawyer for (Plaintiff) (Defendant) (Defendant) Attorney Reg. #: _______________ Attorney Reg. #: ______________ Firm: ________________________ Firm: _______________________ Address: _____________________ Address: _____________________ Telephone:____________________ Telephone: ___________________ Date: ________________________ Date: ________________________ ORDER FOR DEFERRAL The foregoing request is granted, and this action is deferred and placed on the inactive calendar until _____________ ___, 20__, or until further order of this Court. Dated: ________________, 20___. ________________________________ Judge of District Court Advisory Committee Comment�2007 Amendment Form 111.03 is a new form, designed to facilitate the making of a request for deferral of a case from scheduling as permitted by Rule 111.05 when that case is going to be the subject to a collaborative law process as defined in that rule. RULE 304. SCHEDULING OF CASES * * * Rule 304.05. Collaborative Law. A scheduling order under this rule may include provision for deferral on the calendar pursuant to Rule 111.05(b) of these rules and for exemption from additional ADR requirements pursuant to Rule 111.05(c). Advisory Committee Comment�2007 Amendment Rule 304.05 is a new provision, intended primarily to make it clear that the special scheduling procedures relating to collaborative law in Minn. Gen. R. Pract. 111.05 apply to scheduling of family law matters subject to Rule 304. The rule permits a scheduling order to include provision for collaborative law, but does not require it.